Today I’m sharing a delicious and simple recipe for Shiny Ganache for Pouring! The consistency of this ganache recipe is perfect for pouring over cakes, and you’ll love the added touch of drama. This chocolate ganache recipe was adapted from Shirley Corriher’s “Shiny Ganache Glaze” recipe as seen in BakeWise. 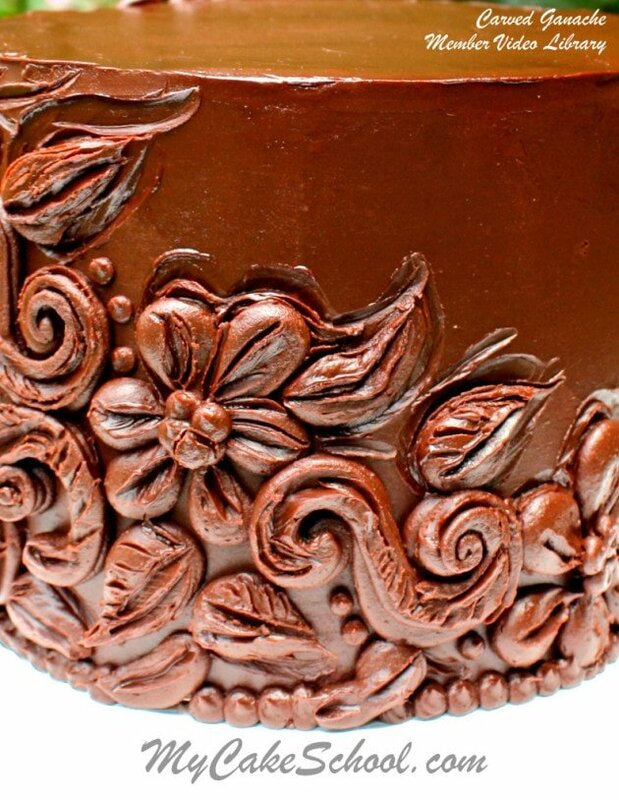 ** I use this ganache glaze in my “Poured Ganache” member cake video in the Chocolate Tutorials section. I prefer to frost my cake with either a spreadable ganache frosting first, or butter-based chocolate frosting like our Classic Chocolate Buttercream recipe. Then I go back and use this Poured Ganache recipe to pour (once or even twice) the ganache glaze when it is approximately 90-92 degrees over a slightly chilled cake. Place the chocolate in a food processor and finely chop. In a large heavy saucepan, carefully bring cream and sugar to a boil. Watch constantly. Let simmer for 1 minute. Pour the hot cream mixture into a medium mixing bowl that has a wide surface. Stir in the corn syrup. Let cool about 30 seconds. All at once, pour the chopped chocolate over the entire surface. Barely shake the bowl to get the chocolate to settle. Allow to stand for 30 seconds or so. Start stirring in the middle, blending the melted chocolate and cream together. Try not to incorporate air. Stir slowly until the chocolate is melted and blended (at first it will be very lumpy but don't worry!) -- Use immediately or refrigerate and reheat to thin. I am a huge fan of all things chocolate, especially delicious ganache! Different proportions of chocolate to cream will give you a wide range of consistencies. Below are a couple of other options for you to try out! However, DO NOT use this poured ganache recipe beneath fondant. It is too soft. Instead, check out our Simple, Spreadable Ganache recipe. This is a 2:1 ratio of chocolate to cream (or 3:1 when using white chocolate or milk chocolate) which creates a thicker ganache.) 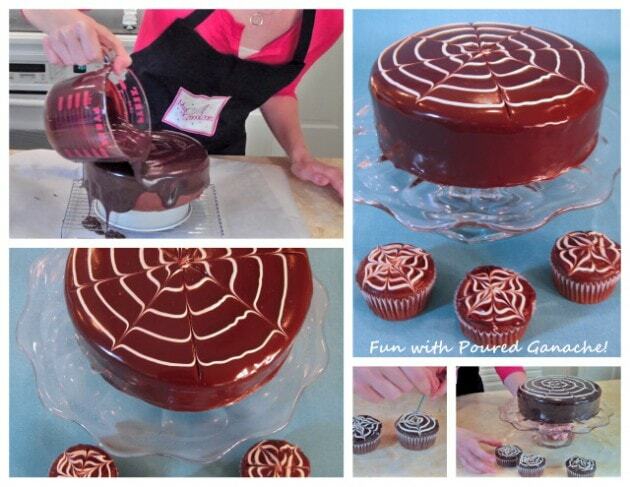 It can be used beneath fondant, or on it’s own as with our “Carved Ganache” cake video tutorial pictured below. 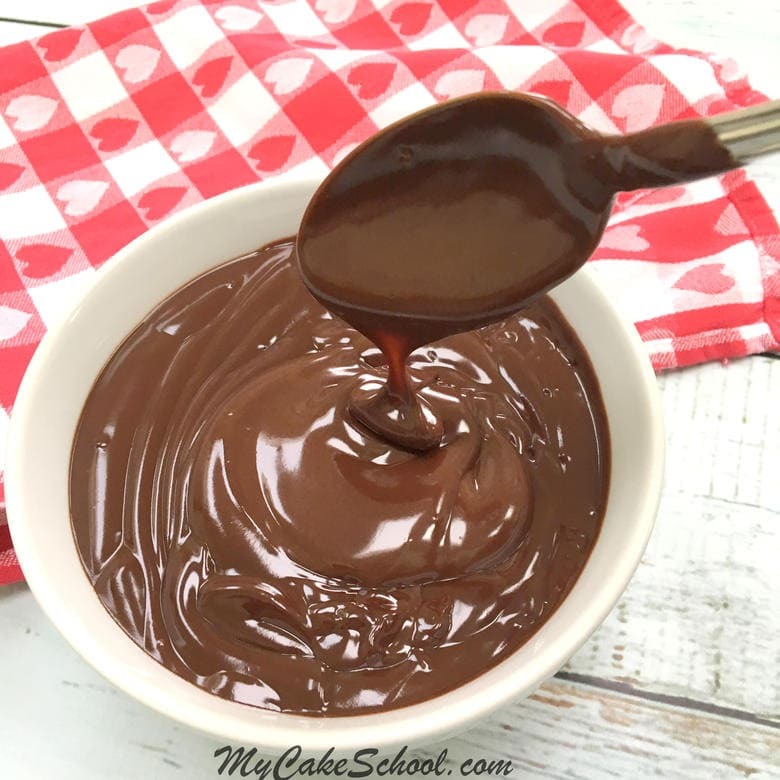 We also have a SUPER easy Ganache Drip recipe which can easily be prepared in the microwave. Here is a link! : Easy Ganache Drip. 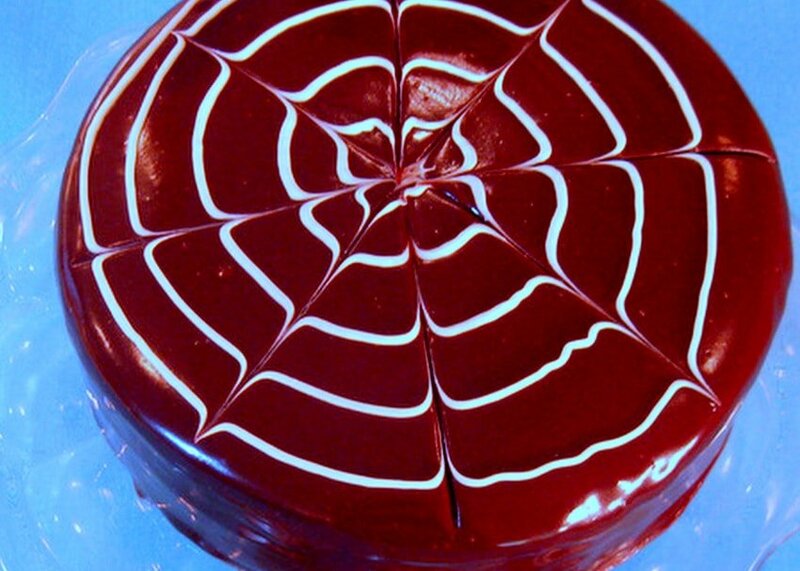 Ganache drips and drizzles make the perfect finishing touch around the top border of a cake. So dramatic! We’ve used this technique for several of our favorite cake recipes (Including our Oreo Cake). It can even be whipped into a fluffier consistency for swirling onto cupcakes! YUM! Thanks for stopping by! Make sure to check out our full collection of favorite Cake, Frosting, and Filling recipes in our Recipes Section! This cake looks beautiful & you make it look so easy. I am going to try it for my grandson or husband’s up-coming birthday. Hi, some recipes have butter, is there a need for it? What would the recipe be for WHITE CHOCOLATE pourable Ganache? All the hints and tips are great, some ingredients not available in uk, any substitutes? 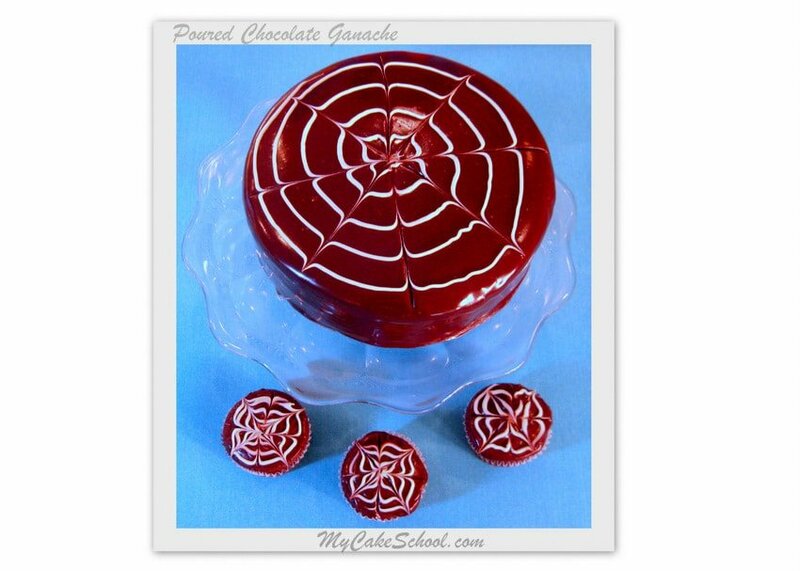 Does the poured ganache sets up firm enough to add fondant cutouts on the side of the cake? as the cake comes to room temperature. Cutouts that were rolled very, very thin might stay in place, we just have not tried this. i am in uk ,please let me know best bran to buy here. what is best to cover a cake before pouring ganache? how can i decorate a cake after that?